Gospel music arranged for the banjo. 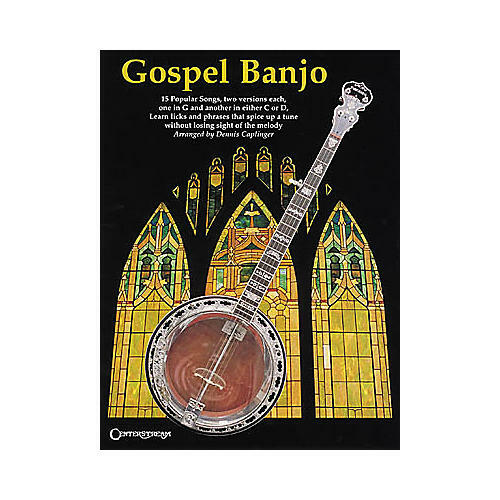 The Gospel Banjo music book features 15 spiritual favorites, each arranged in 2 different keys for banjo. Includes "Amazing Grace," "In the Sweet By and By," "Just a Closer Walk with Thee," "Old Time Religion," "Swing Low, Sweet Chariot," "Will the Circle Be Unbroken," and more!